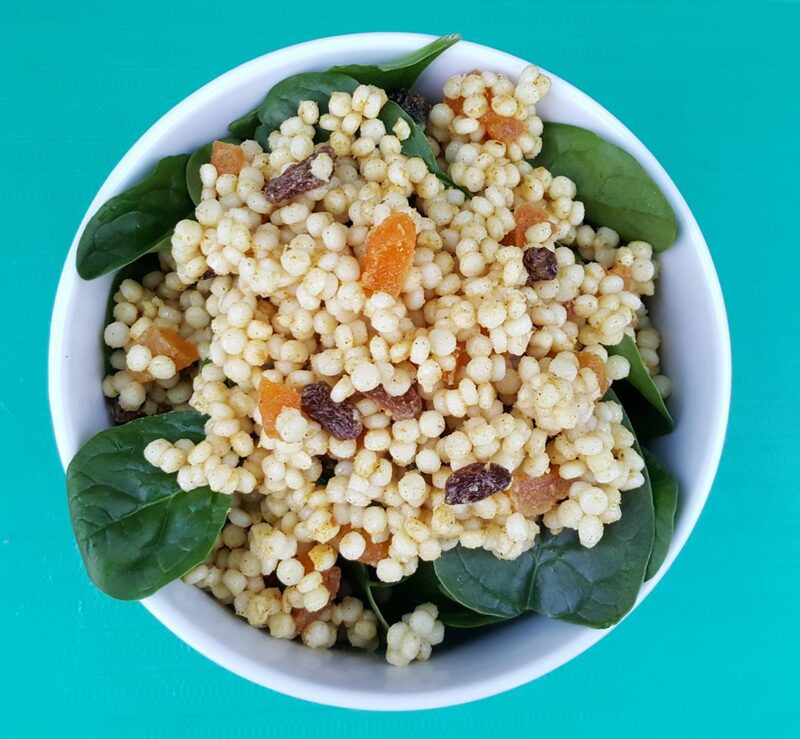 Couscous is a perfect option for batch cooking. Cooking in batches at the start of the week or over the weekend is the secret to maintaining a healthy diet or working towards a nutrition goal. As it is officially summer at home in Ireland, it’s time for salads. Adding some grains to your salad is an easy way to bulk up your lunchbox at work. I have used giant or Israeli couscous here but regular couscous, bulgur wheat, rice or quinoa would be perfect replacements. Mix the couscous with the water in a bowl or saucepan. Cover and allow the grain to absorb all the water or cook the grain as per packet instructions. Taste and if you prefer a stronger curry flavour just add some more.